Firestone Service Building & Smith-Swinney Motor Company Building Fort Worth Texas. Seventh and Henderson Streets near downtown Fort Worth. 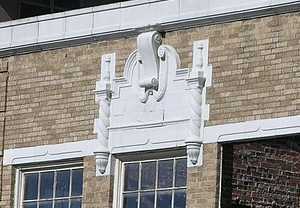 The Firestone building was constructed in 1929, and was part of Fort Worth's original “Automobile Row.” In the "Roaring '20s" car dealerships lined Seventh Street from Henderson Street west to Summit Avenue. A closer look reveals former bays. 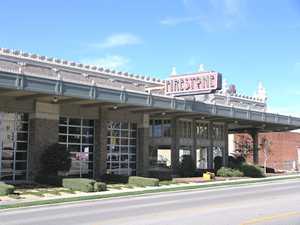 The Firestone Building was saved in a 1997 project to develop the 350-unit Firestone Community. The building was repaired and today functions as the office and community center for the Firestone Apartment Complex. 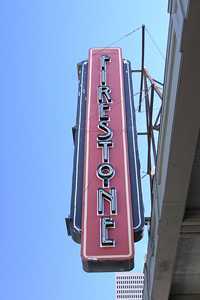 Notable are two original Firestone signs that were left intact. One of the original Art Deco Neon sign. Unfortunately other old buildings in the neighborhood, many dating back to the 1920s and 1930s have been demolished. In January of 2006, demolition was delayed on the former Smith-Swinney Motor Company building.. This building is directly across the street from the Firestone Building. It was constructed in 1927 to house the Smith-Swinney Motor Company which sold Hudson and Essex automobiles. It was one of the car dealerships that lined Seventh Street for several blocks between Summit Ave. and Henderson Street. 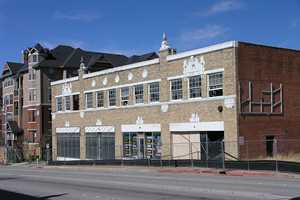 The current owners of the property sought permission from the City of Fort Worth to demolish the building. The building lacks a roof and is generally in bad repair. 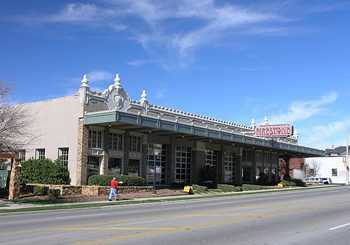 According to an article in the January 12, 2006 (page D1) Fort Worth Star-Telegram, the city delayed demolition of the building for six months in hopes of finding a use for the property. According to the newspaper article, the prospects for this building are not good. My own observation is that quite often historic buildings like this one get torn down to make way for parking lots and fast-food restaurants. That will very likely be this building's final chapter. Anyone wishing to share information, memories or photos of Fort Worth Texas or Texas gas stations, please contact us.